Are you planning a big meal or entertaining for a large group? We are hosting Thanksgiving dinner this year and have a fairly large guest list. As we are planning how we will set our table we decided name cards are in order. The look of our Real Cherry Wood paper is warm and earthy, perfect for the woodsy theme we have in mind. Create 8 name cards from one 8.5″ x 11″ sheet of Cherry Wood paper. 1. Remove adhesive liner and adhere Real Cherry Wood paper to an 8.5″ x 11″ sheet of vanilla cardstock. 2. Trim out 8 place cards. 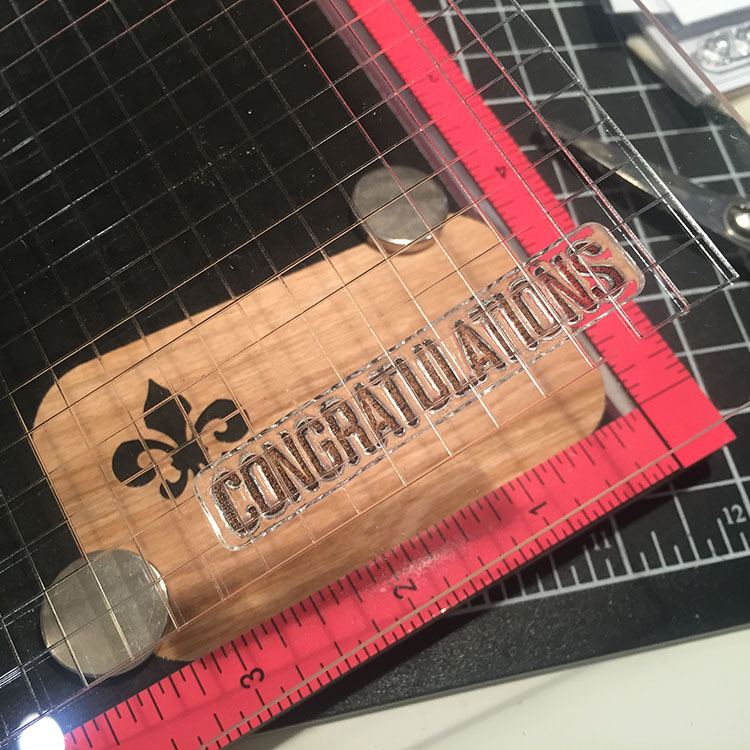 Card measures 2″ x 3″. 3. 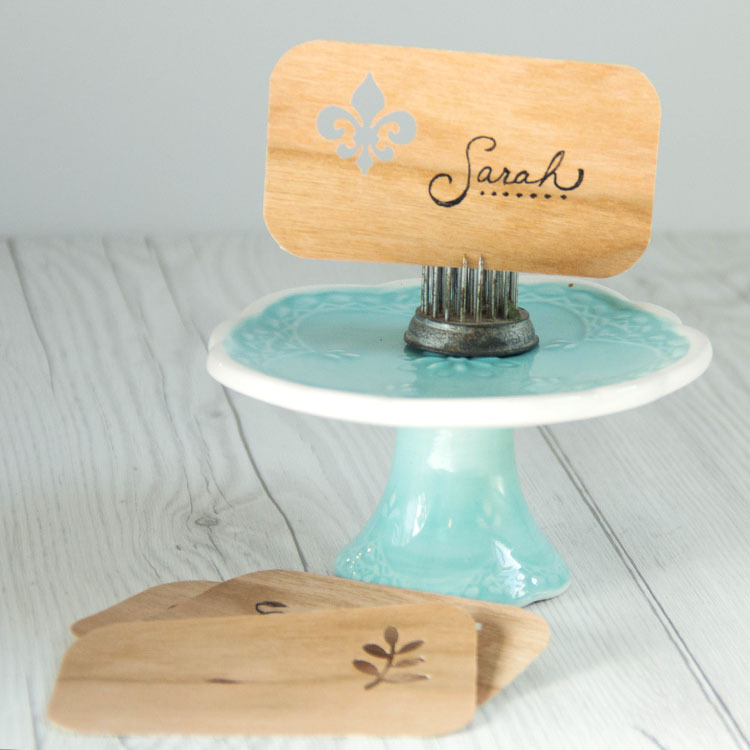 Round each corner of each place card with a corner round punch. 4. 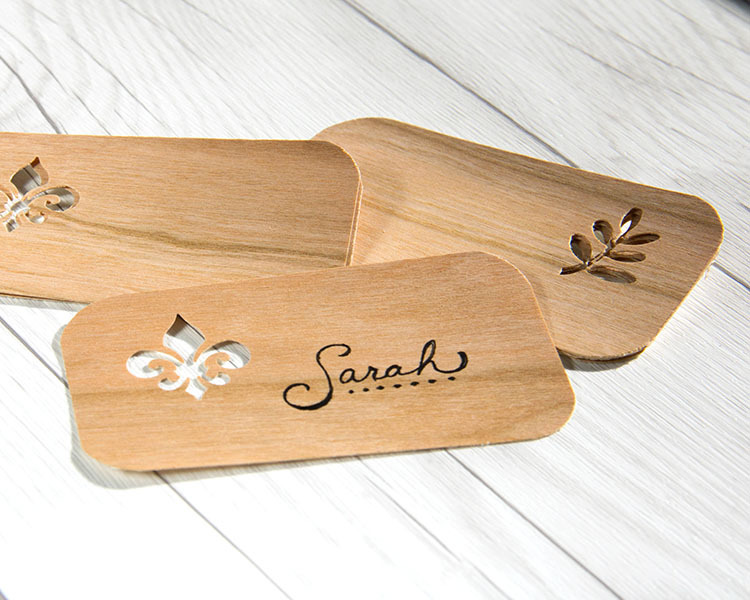 Add a flourish or leaf punch out to the left or right side of each place card. 5. Hand write each guest’s name. 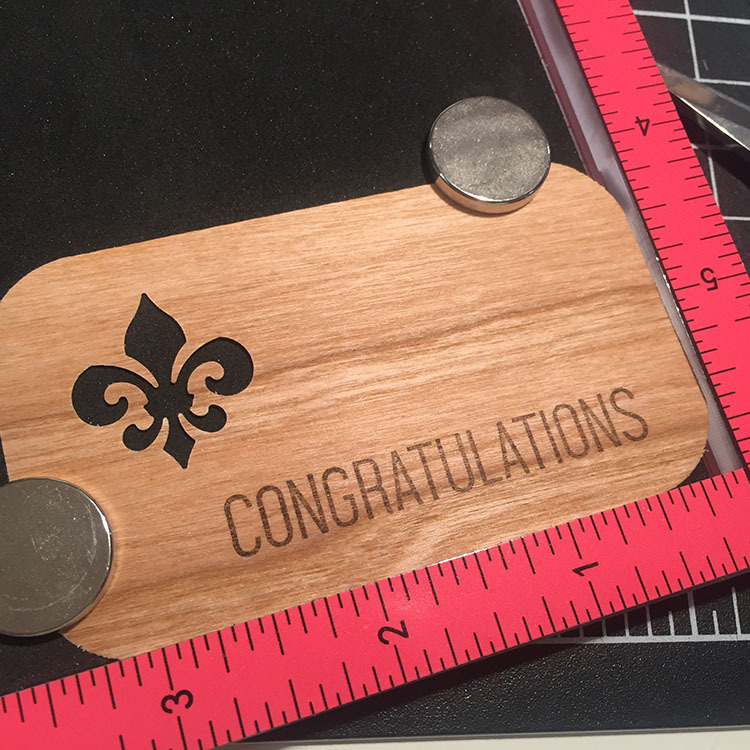 This card shape is also a great size for gift notes, accolades, or little leave behinds. We stamped CONGRATULATIONS on this card. Want perfect stamp placement? 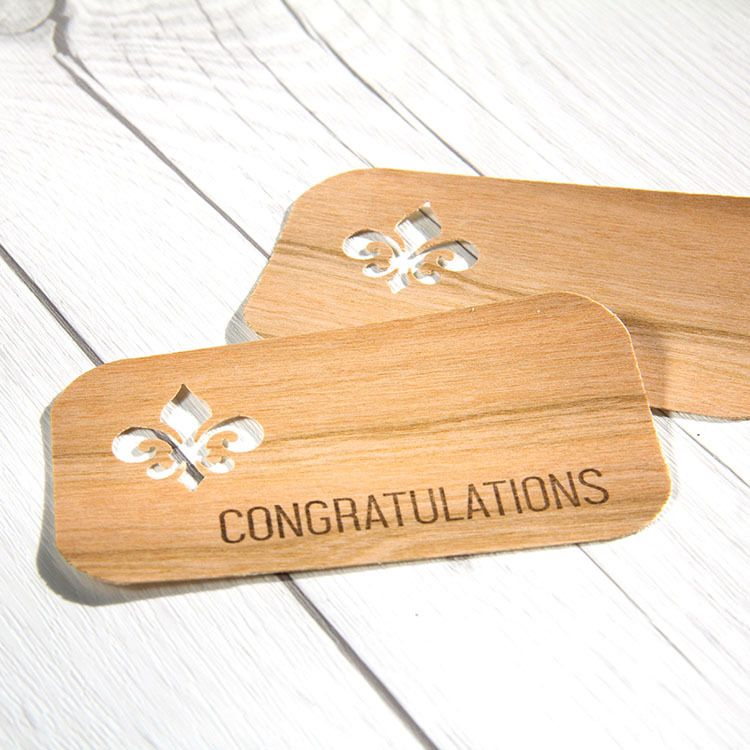 We used the new Mini Misti to stamp our congratulations onto each Real Cherry Wood card. 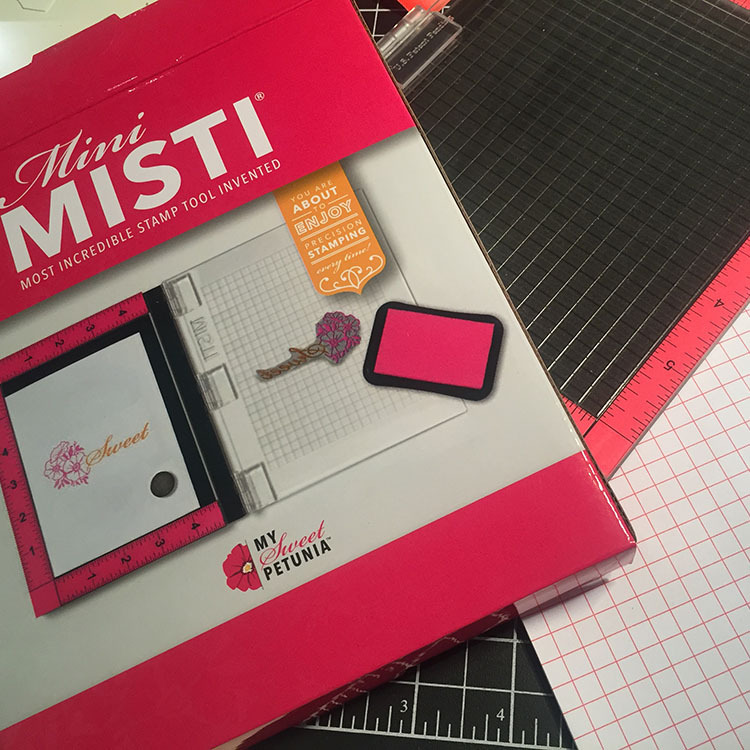 This is a great tool when you are producing many of the same item. This entry was posted in DIY Projects, New Seasonal & Special Occasions, Stationery & Envelopes and tagged Cherry Wood paper, Gift Card, name cards, Place cards, real cherry wood paper, Thanksgiving.